Why? To try and force or bully Denon into rushing out a premature release of untested firmware? I’m eager to play with new freebie features and better versions of what features are already there on firmware and in Engine, but not without testing and corrections before release. Funny that. 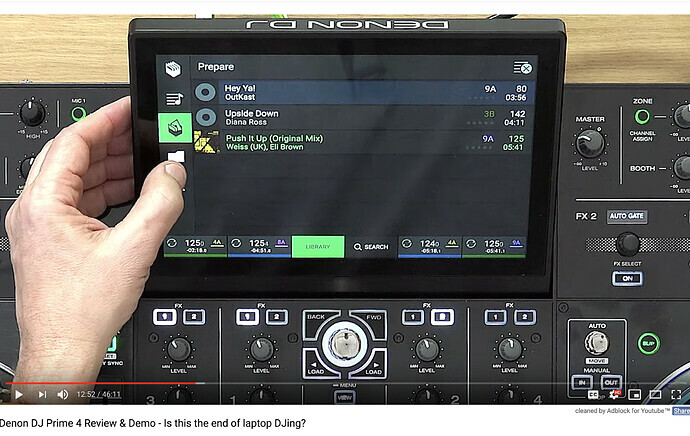 I have been noticing in a lot of threads on DJ gear (not just Denon’s) recently that it usually goes something like this: Nice unit, but a pity it doesn’t do this, that or the other. It is almost if everyone is looking for that one feature a unit is missing, rather than embracing all the things is DOES do. Firmware should be primarily about fixing bugs. In that case, regular fixes are mandatory imho. But new feature upgrades should be in the nice to have, but no man overboard if it’s not coming anytime soon. Just my three cents, as usual. And then not really follow it up, by releasing those unique features, but still struggeling with the BPM grid, High End Roll Off etc. Yep, that is not realistic expectation management. I Agree. But to answer your question - I think thats the biggest reason for people (including me) coming up with ideas. I said this two months ago, I can’t believe how bent out of shape people are getting about equipment they buy not having features that they were never told it had. It’s bleedin’ madness!! No point arguing about advanced features until Denon get the basics fixed first. That’s very different though from being disappointed that new features haven’t been implemented, to deciding that the SCs are rubbish because they don’t have features that weren’t ever promised. Thing is , a feature that one person says is advanced or essential could be considered basic or never used by another person. WHAT DO YOU HOPE TO ACHIEVE HERE WITH THIS POST/THREAD? I am assuming, attention. Some people just want to feel like they are being listened to. Ehh? Did you say Sommit? The common theme seems to be about the “frequency cut offs” and “the bpm algorithm”. Whilst they may not be bugs but the bpm thing is a sticking point for me. I go through the ordeal of syncing files on EP…everything looks great from the donor software (Serato) only for EP to reanalyse and come up with incorrect bpm values. No matter how much we like our gear, how well we use it or how patient and supportive we are, giving Denon the benefit of the doubt, it may happen that one day, when you really have an issue with your equipment, a so called Denon representative comes along to tell you, in private, to get rid of your SC5000 and better buy a newer and more expensive piece of equipment because you will benefit from better service and support. It sounds weird, I know, but you can ask @Engell about this episode.